Pacey Cupcakes | Hello Saigon! ← Philippine Consular Mission to HCMC this December! What I love about living in Saigon? The amazing delivery and bills payment services! 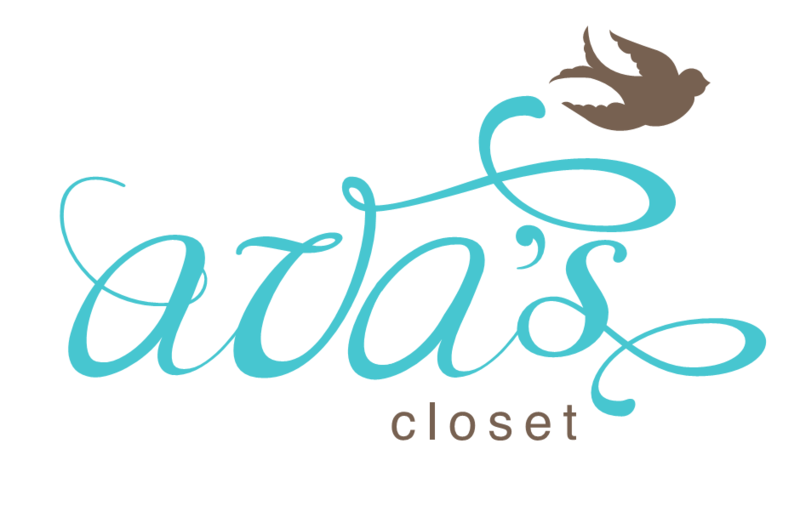 A lot of stores deliver to your door for a very small minimum purchase requirement. In Cebu, there aren’t any grocery stores offering free delivery services. 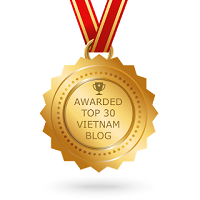 At Coopmart, all you have to do is spend 200,000VND and they will gladly bring it for you. The same goes for gas and bottled water. They deliver in minutes after I put down the phone and for gas, they even delivered past 8PM. For the bills, I am able to pay the electricity, cable and phone/internet bills to the person who delivers the bill to me. I don’t even have to go to their business offices. How convenient is that? Isn’t that amazing? I love that tipping here is not mandatory and is left to the generosity of the tipper. There are still a lot of restaurants who do not impose a service charge and people like delivery guys or taxi drivers do not expect you to give them tips. Tipping them by even just a few thousand dongs illicit big smiles that tell you that the tip is very much appreciated. I love going to local markets too and buying oh-so-fresh fruits, vegetables and seafood at very affordable prices! I can’t speak Vietnamese yet but it doesn’t deter me from going to the wet market. After all, sign language is not just for those who are deaf or mute. The short trek from the house to the market also allows me to witness the daily life of the Vietnamese people —sleepy children on the motorbikes on their way to school, people having pho on the roadside, etc. It makes for an interesting walk to my destination. 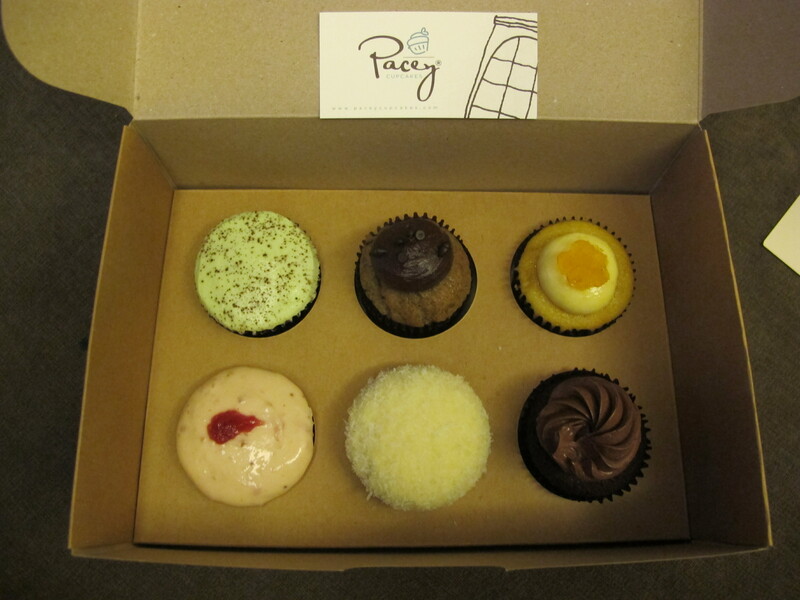 Kathleen also surprised me with a box of Pacey Cupcakes! So sweet! And I had to fight off my son and hubby to stop touching the cupcakes until I can get a decent photo! I’ve been meaning to drop by Pacey’s for the longest time since it’s just around the corner from the Post Office — but I always forget! So am truly grateful that Kathleen got me a whole box! Thank you so, so much! Kathleen and I chatted up a whole lot during lunch like old friends and this is one of the reason why I love Hello Saigon so much and Saigon — giving me opportunities to meet terrific people! Have a safe flight home Kathleen and thank you for the yummy cupcakes! 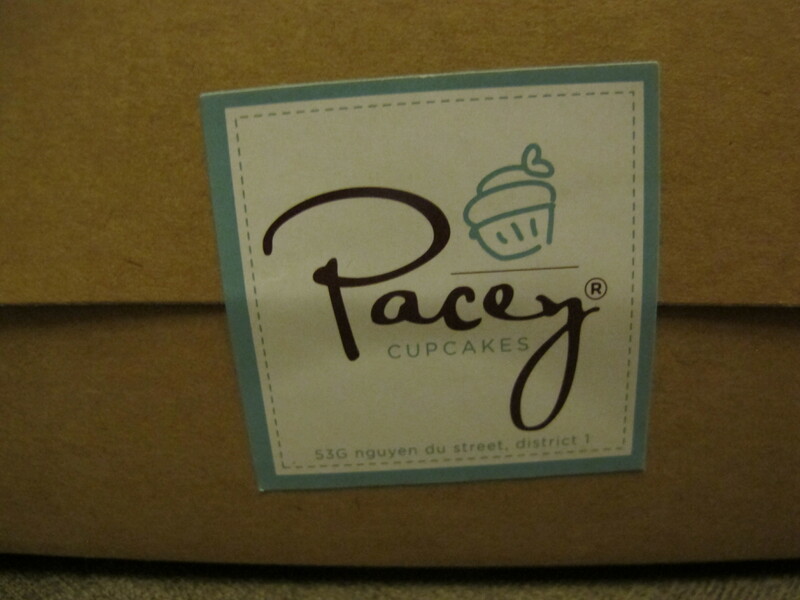 This entry was posted in Gastronomic Delights, Spills and tagged Pacey Cupcakes. Bookmark the permalink. i like the one in the middle parang yung frosting me coconut yum! Pingback: Pacey Cupcakes Part 2 | Hello Saigon!